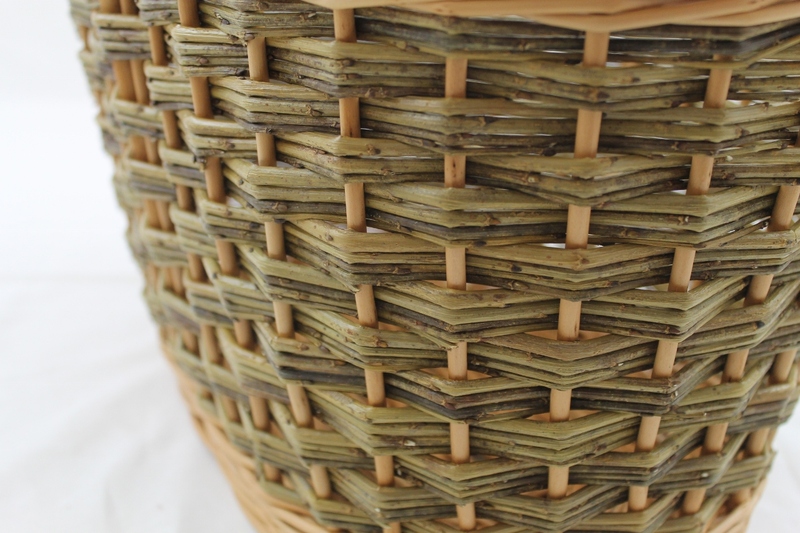 This one made using buff and green willow in combination, but you could also have all buff, buff/white or buff/steamed. 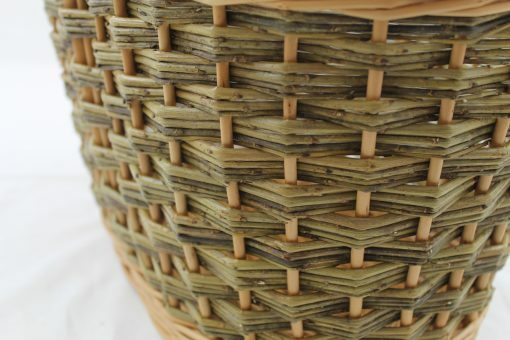 See the Willow colours page for options. 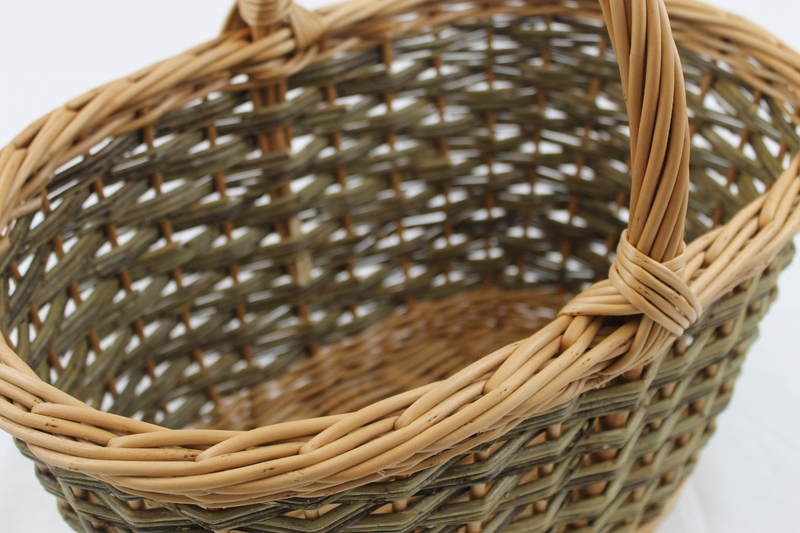 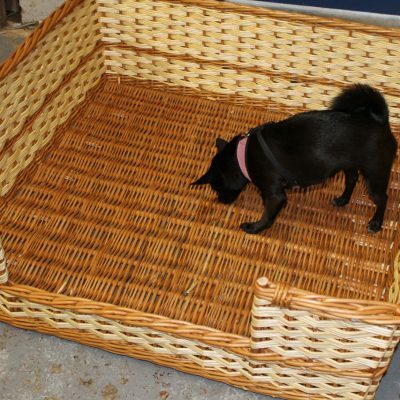 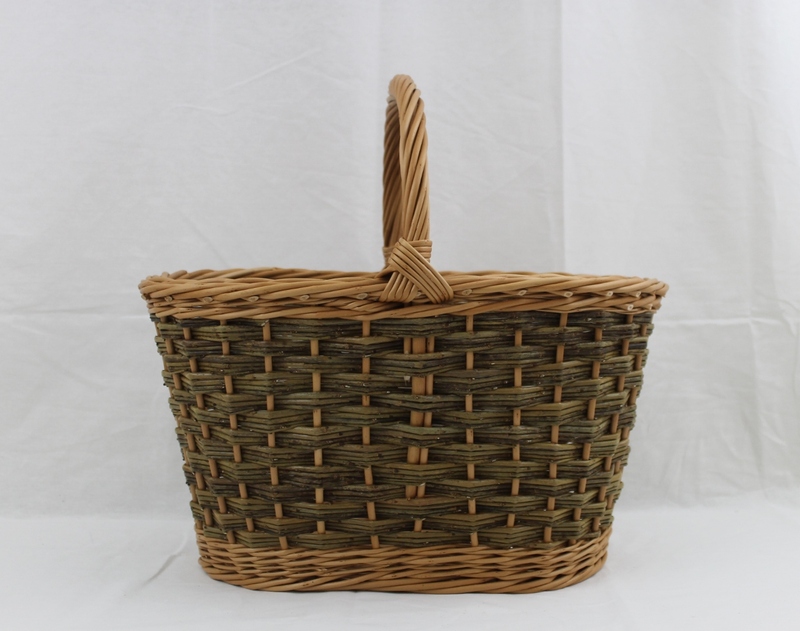 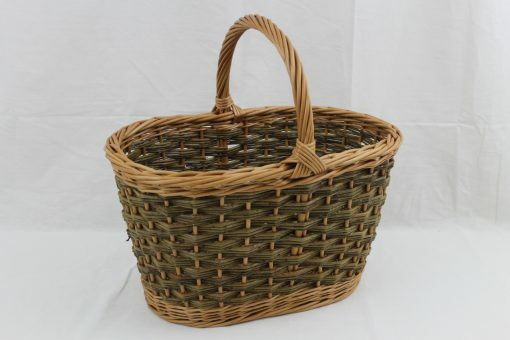 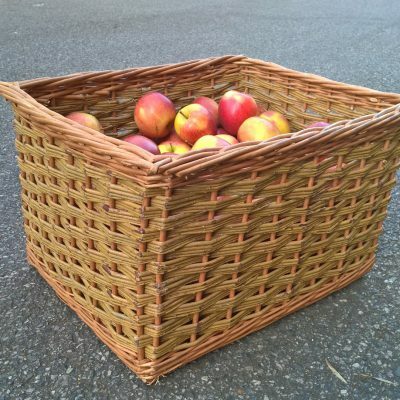 Slewed weave and standard border give a rustic chunky finish to this hard-wearing basket. 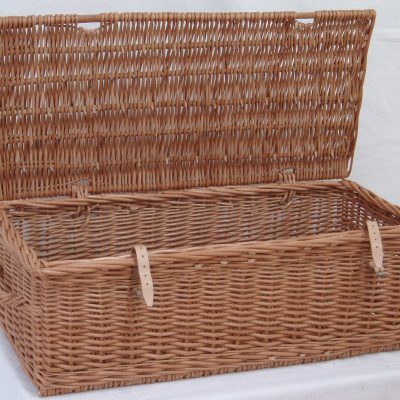 For further information, to request a quotation for a different size, or simply to order, please give Alison a call or send an email.